Hollywood is full of stereotypes with disabled people. Not every disabled person wants to break world records or stand out. They’re regular people living everyday lives, and they want their feelings respected. Assuming that someone lives a wildly radical life simply because they’re disabled is disrespectful. Instead of stereotypes, focus on what they want as individuals. 2. Be a Great Listener! This is a great chance to hear how someone else lives. You can be a great friend as long as you’re willing to never stop learning and keep an open mind. This isn’t the time to go on some big long rant just because you feel like you have a “captive” audience. Hear the other person out and be sure to ask questions only after they’re done talking. Giving them a chance to speak up is great because we never really know what someone is going through, or feeling. Want to know a secret? The life of gay people doesn’t differ all that much just because disability is involved. 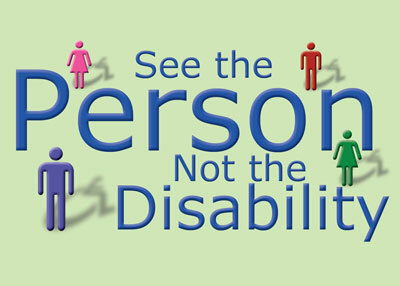 So why then is the community often too silent when it comes to people with disabilities? We assume and act like their lives are completely different, when that isn’t the case. At the end of the day, they deserve the same rights that we’re fighting for. They have other issues that they have to face because they are disabled, and this means that they deserve good allies. Keeping these tips in mind encourages not just open communication, but a true exchange of ideas. You can’t have that without respect being at the start of everything. People dealing with disabilities just want to feel like they’re truly part of the community, rather than just a convenient talking point when you want to win an argument. Don’t ignore these tips if thereís a chance for genuine communication and sincere connection. You won’t regret it!